Take a non-stick kadhai or a big pan. Add 2 Tbs oil. 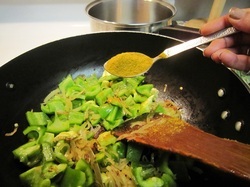 When hot, add cardamom, bayleaf, cumin seeds, black pepper corns, & cloves. 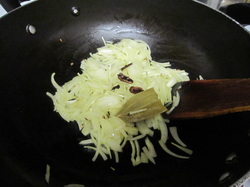 Stir till onions are tender & slightly browned. 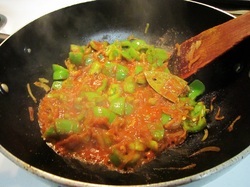 Add chopped capsicum & stir for few min. Add Kitchen King masala 2-3 tea spoon fulls. Stir to roast it a little. Stir & cover for 2-3 min on slow heat for spices to absorb into the paneer pieces. Open & just stir to let any extra water evaporate. Sprinkle garam masala & coriander leaves to garnish. Serve hot with naans/paranthas or other Indian breads. 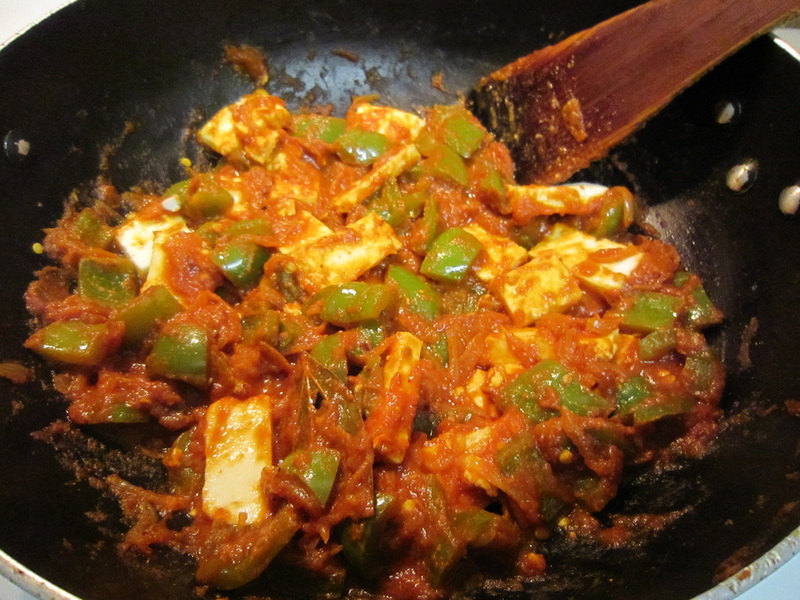 Make this tempting, super healthy Indian dish "Kadhai paneer" with fresh onions, capsicum & Indian spices.